Join the island adventure, blast cubes & experience the best tap 2 game! Get ready for a new block puzzle adventure! 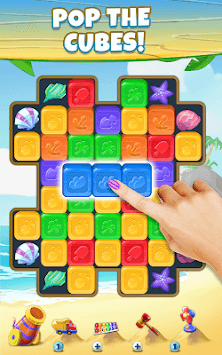 Download Island Blast and start blasting blocks and solving quests. Play this fun puzzle for free! 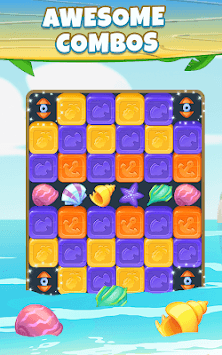 Work your way through hundreds of colorful tapping levels and pop all the tiles. Discover new adventures and travel the beach shore to enjoy the incredible tap 2 world! Tap and pop jungle blocks to win coins and clear the board in this amazing adventures game. Challenge family and friends and see who can complete all the missions, it’s fun and super addictive. Tap and smash the bricks, clear the obstacles and win levels in your awesome journey. - Click, blast, and burst on any 2 adjacent cubes of the same color. - Play through hundreds of amazing game levels. - Overcome obstacles and achieve high scores. - Use powerful boosts to advance through the game. - Enjoy this free and addicting puzzle game with no wifi and no internet needed. - Completely FREE to play and blast cubes! - Colorful graphics and designs. Can tapping 2 or more bricks get even more fun? Play now and find out! - Match and explode 5 or 6 toys to get a rocket. - Match and pop 7 or 8 cubes to get a bomb. - Combine boosts to get bigger effects that so you can solve the puzzle in no time! Play this cool and addicting tap 2 game for endless hours - Island Blast is easy to learn and super fun to play anytime and anywhere! You have a limited amount of moves to clear the board, so you better think it through and plan your path wisely. Download now and experience this blasting puzzle straight on your Android device. 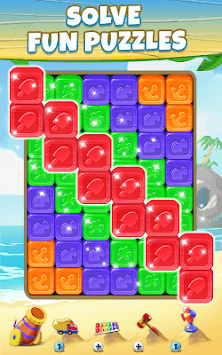 Discover this awesome cubes game today for free, crush the colorful bricks online or offline and win amazing rewards!